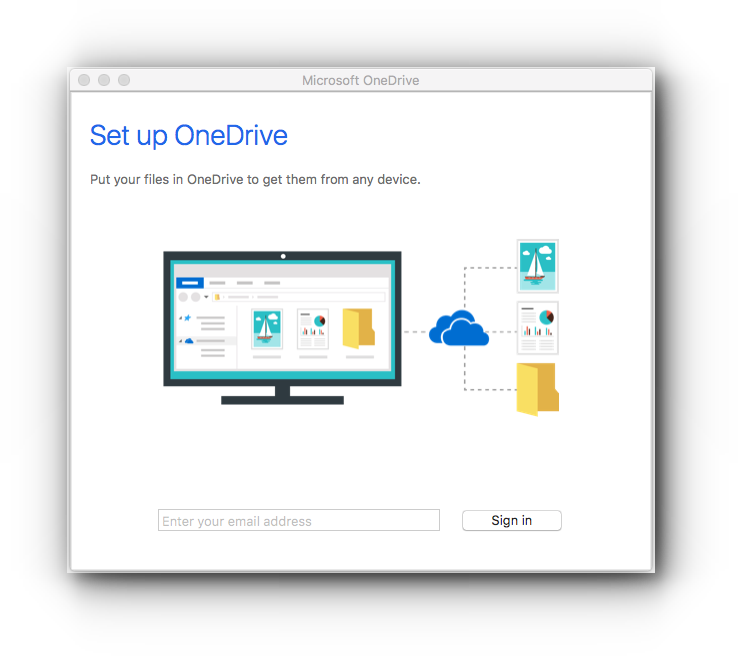 Home/Knowledge Base/Web Hosting/How to set up Microsoft OneDrive? Step 1. 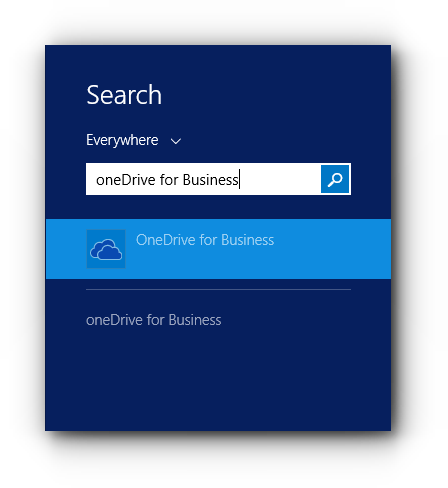 Search for OneDrive from your Windows PC. 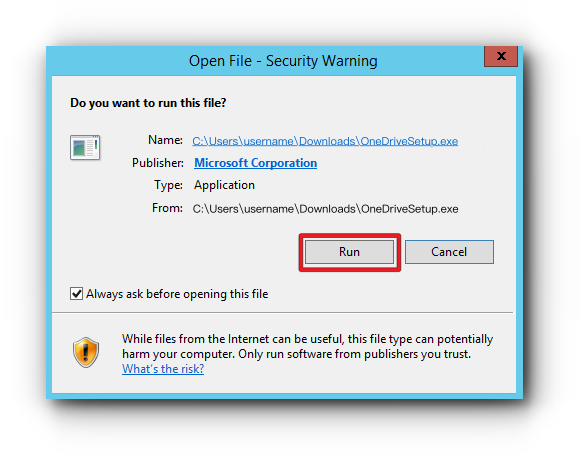 If you do not have the program yet, you can download it. Step 2. 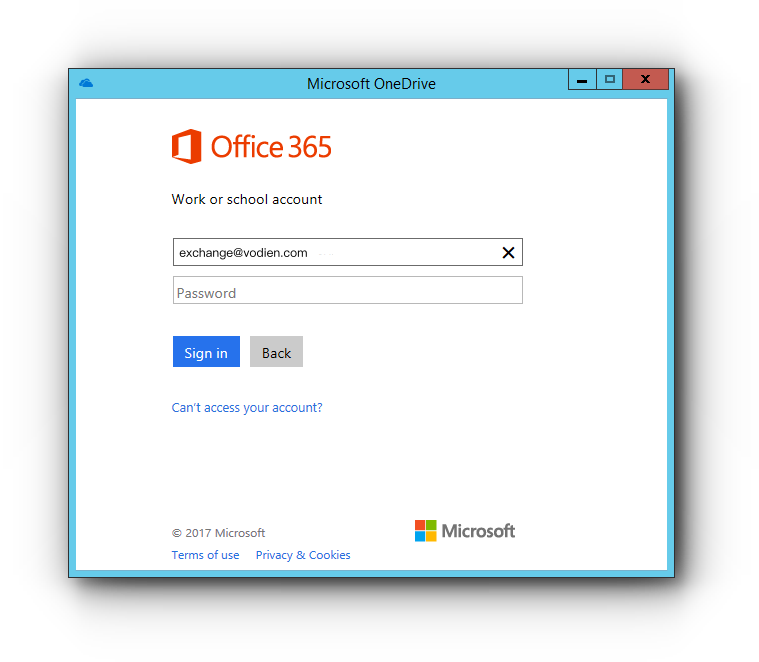 Enter your Office 365 email address. Step 3. 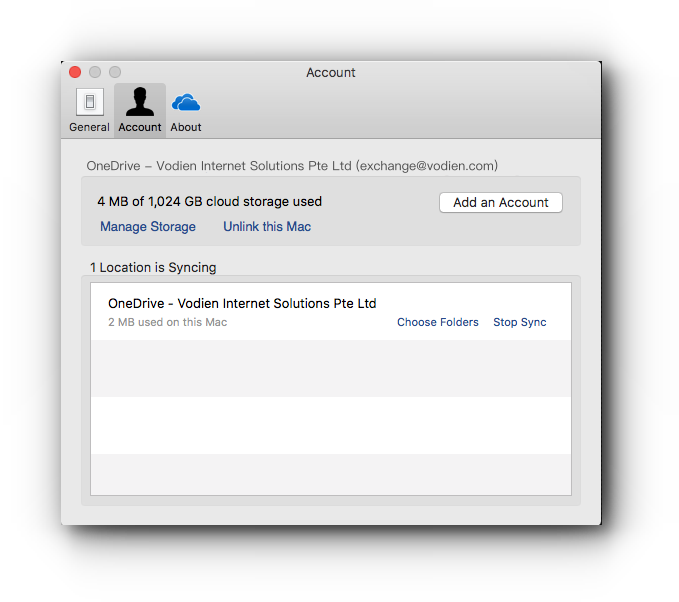 OneDrive will then detect that this is an exchange account. Enter your exchange password and click “Sign in”. Step 4. Click “Change location” link. Step 5. 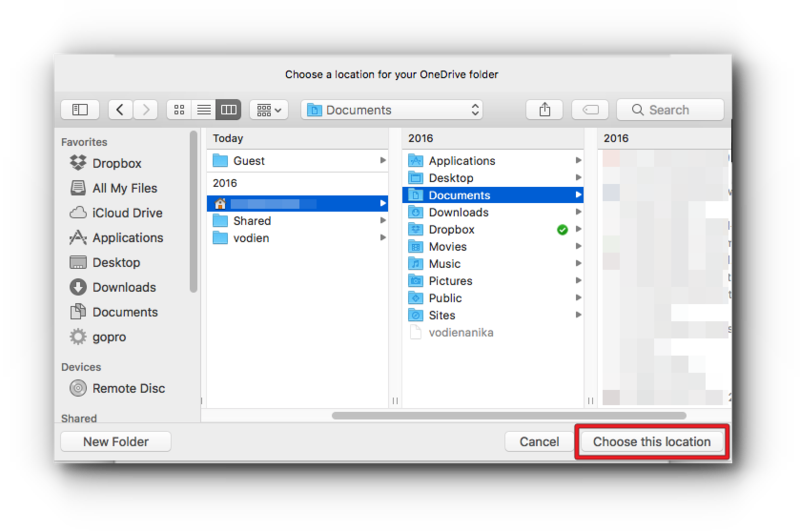 Select a location where the OneDrive files will be stored on your computer and click “Select Folder”. Step 6. Click “Next” button. Step 7. 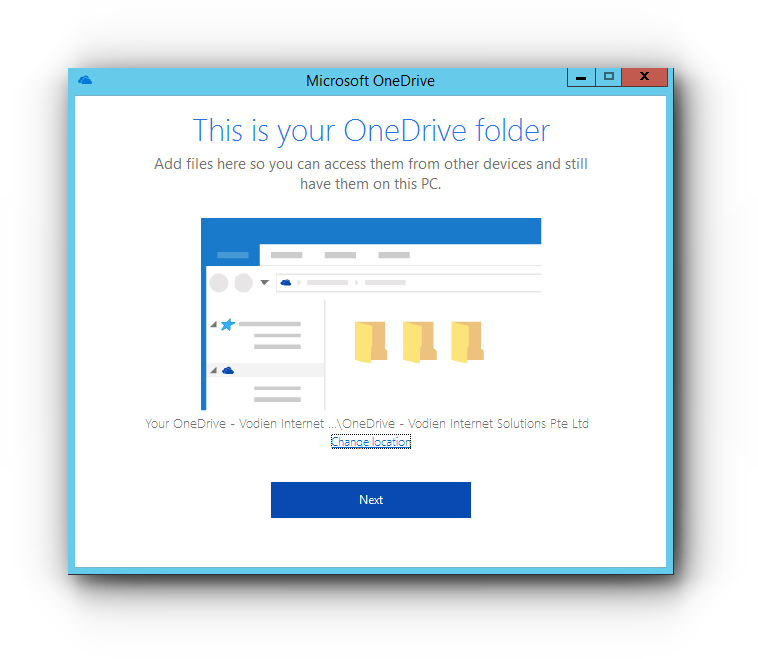 You will be given with a OneDrive folder name. Click “Sync Now”. Step 8. 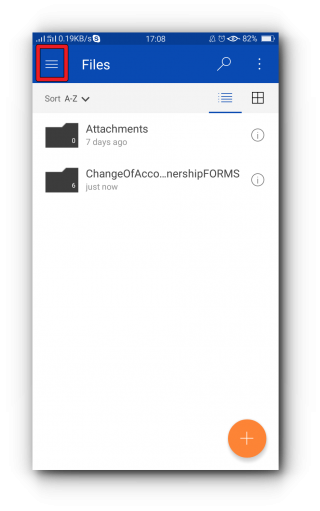 You will be shown with the current folders and files. 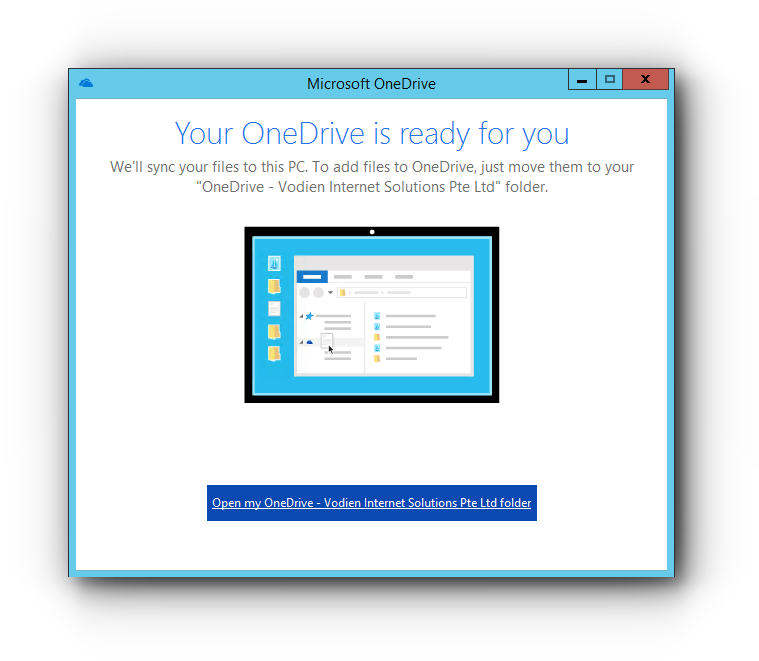 Select which ones you want to sync with your OneDrive in your Windows PC and click “Next”. Step 9. 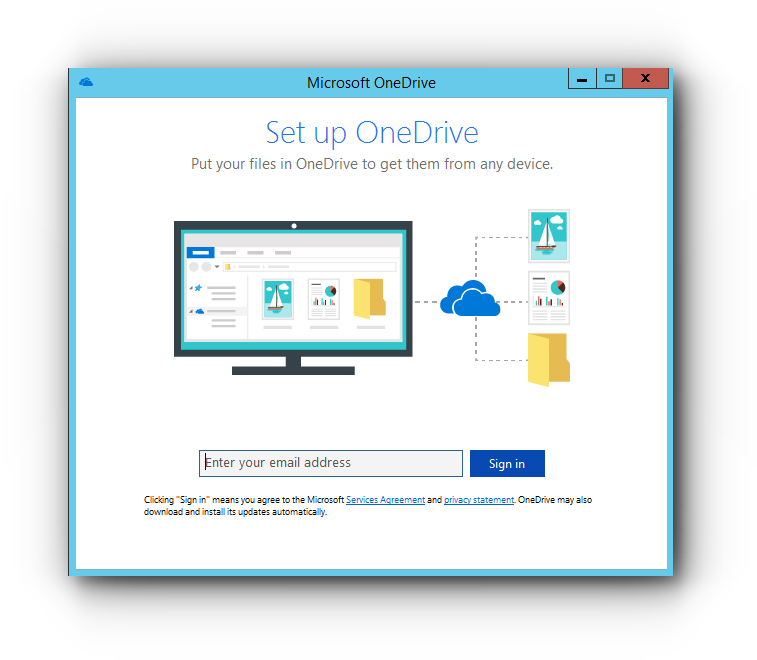 You are now connected to OneDrive for your Windows PC. 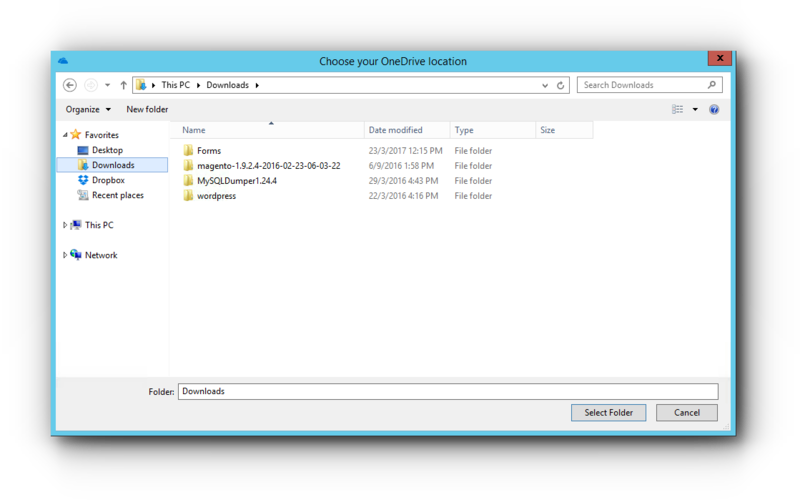 Open your OneDrive folder to check your files. Step 1. 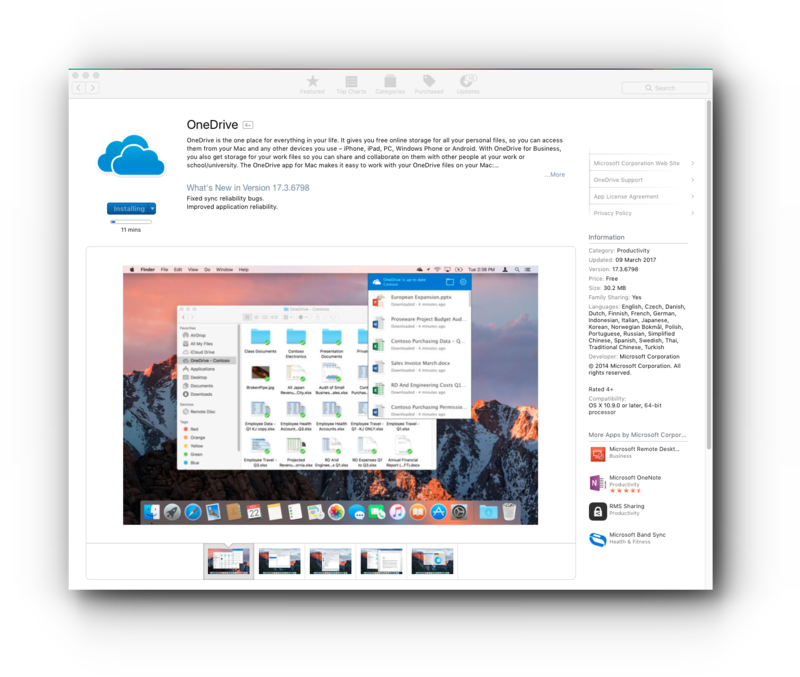 Install OneDrive for your Mac through the App Store. If you already have the application, proceed to step 2. Step 2. 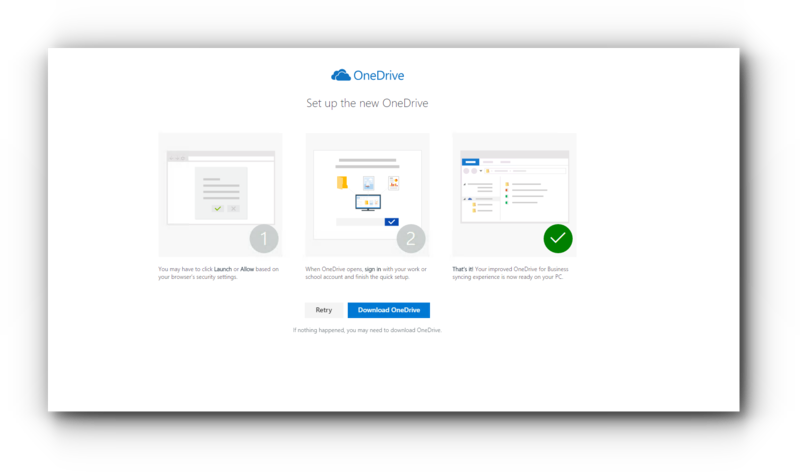 For first time users, open your OneDrive application. 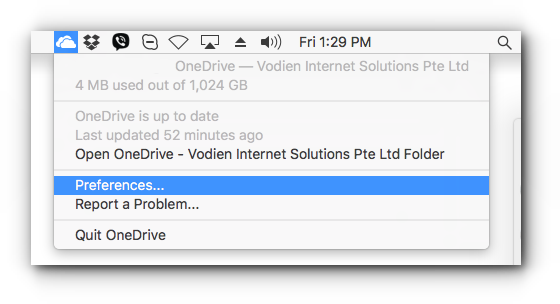 Right-click the OneDrive icon you can see at the top bar of your Mac. Select Preferences. Click Account tab and click Add an Account button. Step 3. 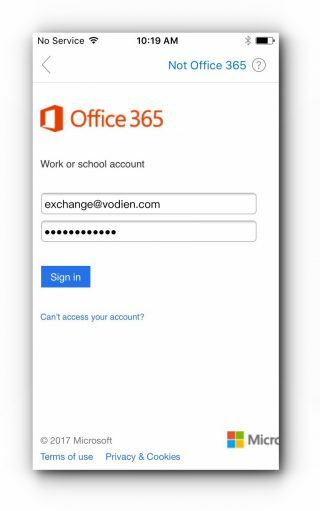 Enter your Microsoft exchange email address and click “Sign in”. Step 4. Enter your email password and click “Sign in”. Step 5. 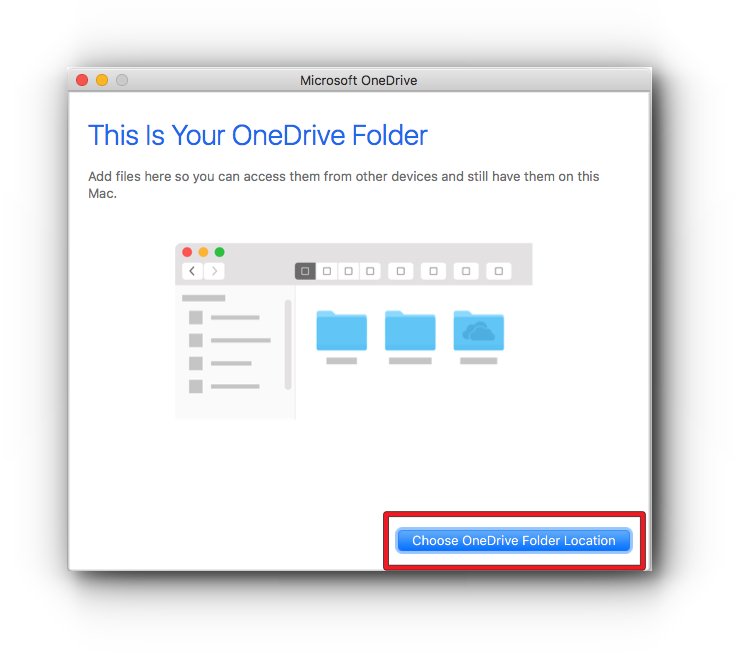 Click “Choose OneDrive Folder Location”. Step 6. 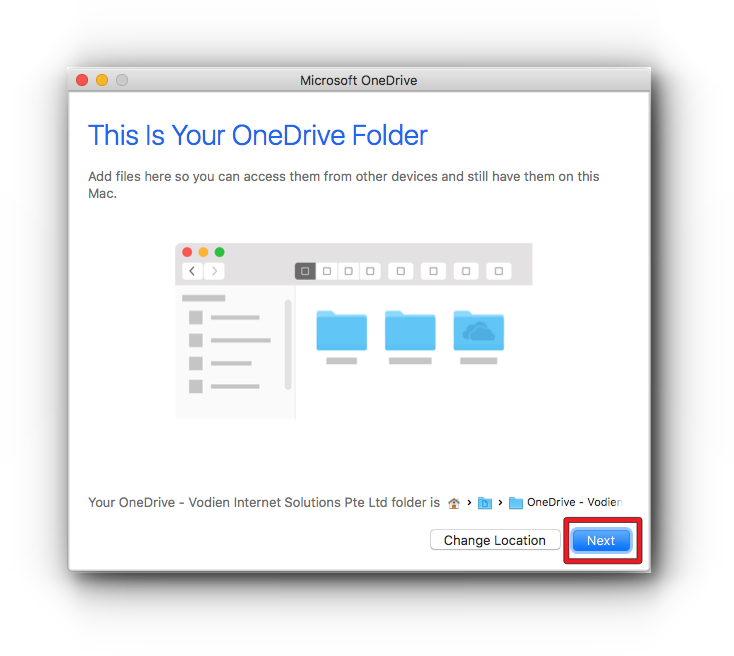 Choose a location where the OneDrive files will be stored on your Mac and click “Choose this location”. Step 7. 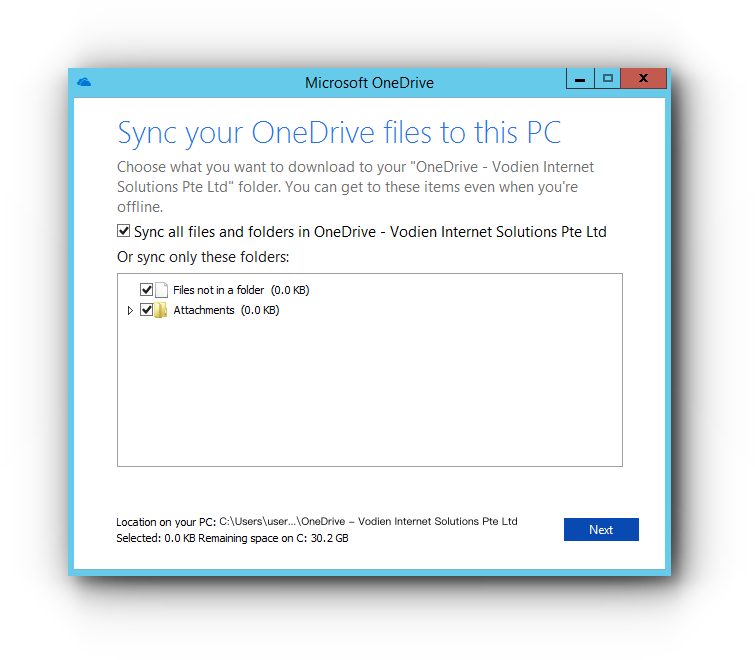 You will be given with a OneDrive folder name. Click “Next”. Step 8. 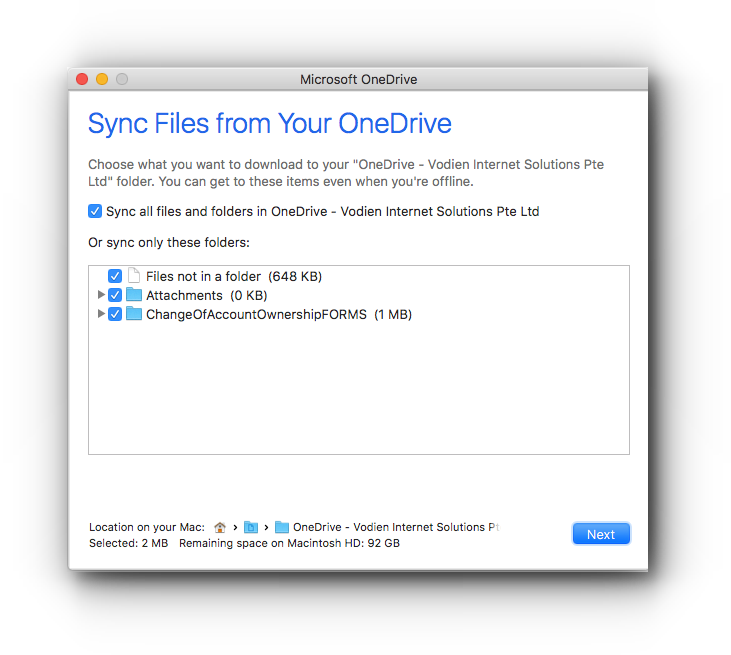 Select what files from your OneDrive you want to sync and click “Next”. Step 9. 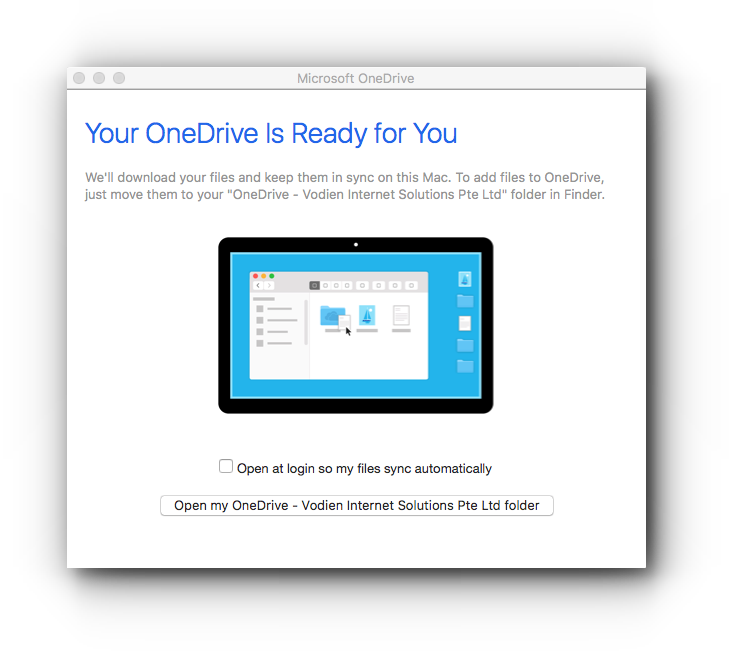 You are now connected to OneDrive for your Mac. 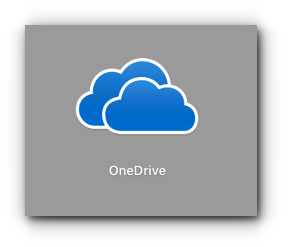 Open your OneDrive folder to check your files. Step 1. 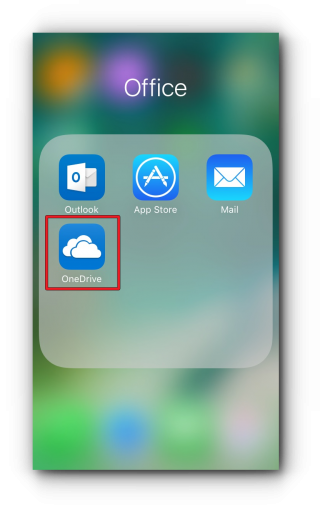 Install OneDrive from App Store. If you already have it, proceed to step 2. Step 2. 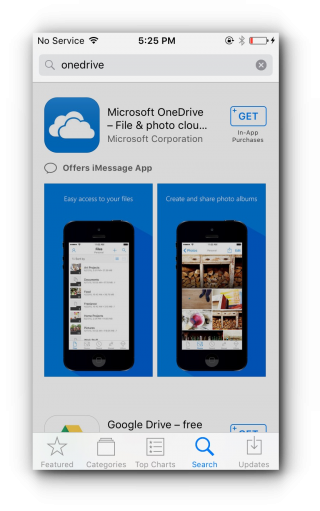 Open OneDrive from your iPhone. Step 3. 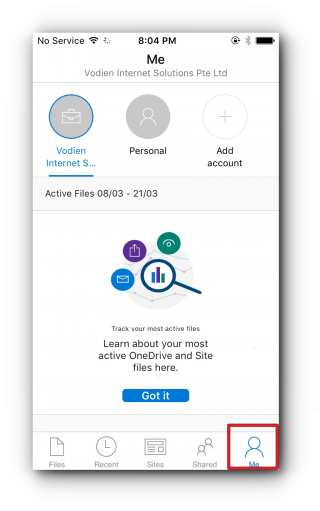 For first time users enter your exchange email account. 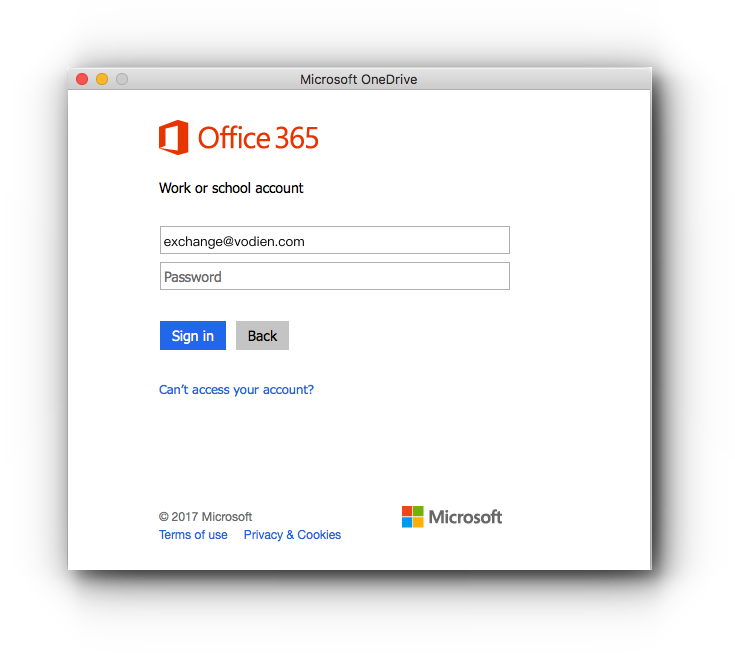 This will be detected as an Office 365 account. 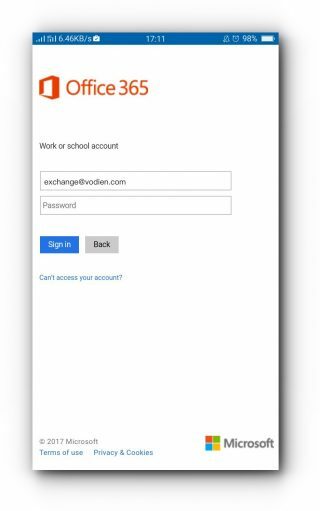 Enter the exchange email password and tap “Sign in”. If you are adding this as an additional account, tap “Me” and tap “Add account”. 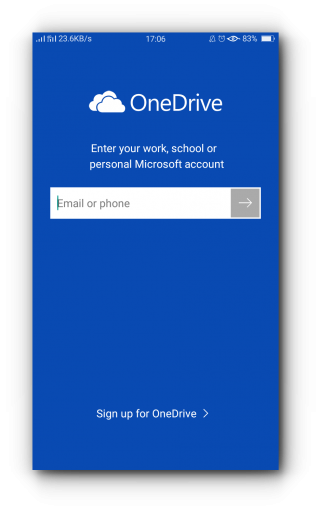 You may now start using OneDrive on your iPhone. Step 1. 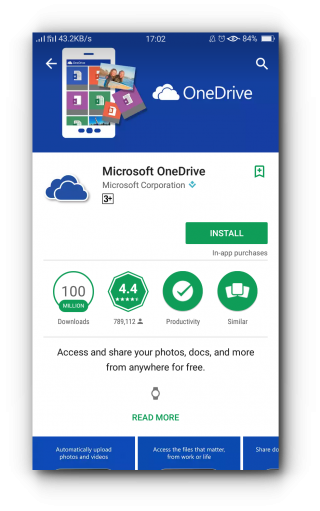 Install OneDrive via Google Play. If you already have one, proceed to step 2. Step 2. 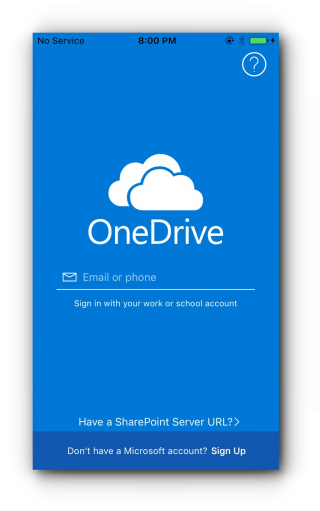 Open OneDrive from your Android phone. Step 3. For first time users, tap “sign in”. 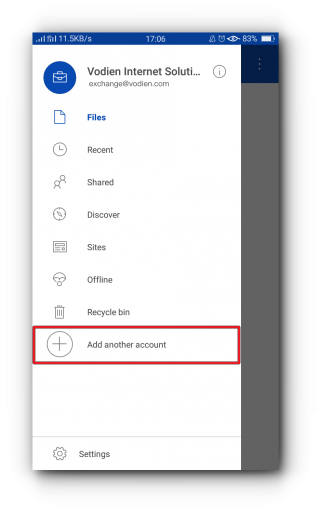 If you are adding this as an additional account, tap the menu option. Step 4. Enter the exchange email address. Step 5. 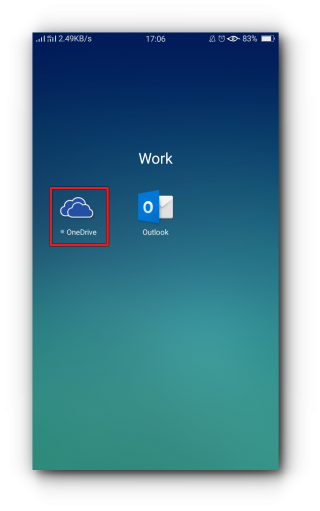 If this account is already added in Outlook on your android device, this is added automatically. 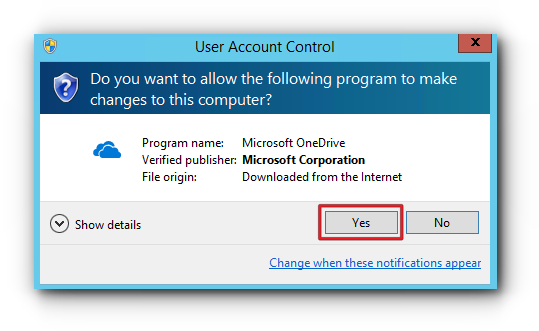 Otherwise, you will need to enter the exchange email address password and tap “Sign in”. 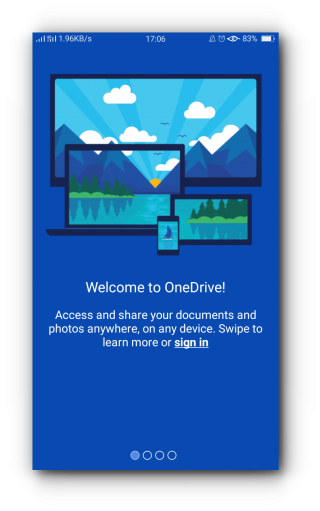 You may now start using OneDrive on your android phone.